Wow – It’s extraordinary what sensible policy can achieve. Just five years ago, Queensland’s natural gas industry was fledgling – a few hundred employees and a few companies with big ideas. 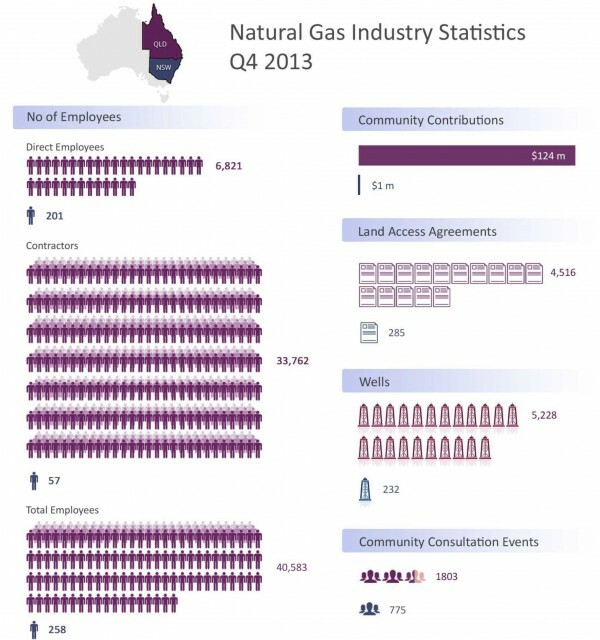 Today almost $70 billion worth of natural gas projects are under construction employing more than 40,000 people and contributing $124 million to regional community projects and charities. The story in NSW is somewhat different. Despite abundant reserves the state continues to imports 95 per cent of its gas from interstate. As a result regional communities are missing out – missing out on jobs, on business, on investment, on an opportunity for farmers to earn additional income through mutually beneficial land access arrangements. Stagnation threatens. The proof is in the pudding. Natural gas, communities and agriculture can work side by side – it’s happening now. 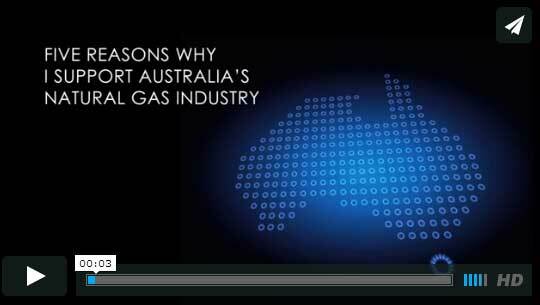 Remind your local representative to support the natural gas industry by sending them a link to the following video explaining why the industry deserves their support.